Dr Alan Sidi is passionate about his work and leads a friendly, warm, caring team where patients come first. He has over 35 years experience in dentistry with over 25 years in Periodontics( gum treatment) and Dental Implant Surgery. He also teaches on the post-graduate programme at Guy’s Dental Hospital and has been published internationally. 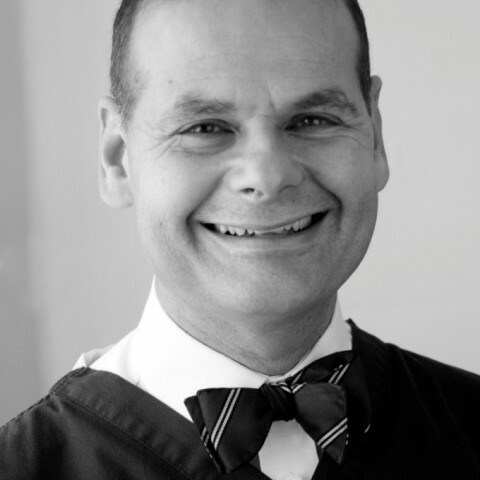 His practice, being limited to these two specialist areas, means that Dr Sidi has extensive experience and has carried out thousands of implant placements and periodontal and grafting procedures. This includes sinus augmentations and soft tissue grafts for gum recession. He also has a wide experience with treating peri-implantitis (gum disease around implants). His team of dedicated hygienists support the patient in establishing and maintaining gum health to prevent further bone loss, giving oral health advice to patients and monitoring closely for signs of gum disease. Dr Alan Sidi qualified from Guys Dental Hospital in 1979. After some time in general practice he returned to Guys Dental Hospital to complete an MSc in Periodontology which he gained with Distinction in 1982. This was followed by a PhD which he completed in 1989. Dr Alan Sidi works in collaboration with many of the top restorative dentists in London. His web site has testimonials from dentists who show their appreciation of excellent care that has been delivered to patients they have referred to him. However he is happy to see patients who refer themselves for treatment. Dr Sidi lectures regularly to General Dental Practitioners and occasionally runs courses for other specialists. He is a registered Specialist in Periodontics and has lectured in the UK, Europe and the USA. He is a member of the American Academy of Periodontology, The British Society of Periodontology, The Royal Society of Medicine and The British Dental Association. Dr Alan Sidi also speaks French and Italian.